The future of wireless Internet access in America is unclear—but it will be decided soon. The debate grew more serious last month, when the Trump re-election campaign announced its support for a government-controlled 5G network. There are many things to like about the idea of open, standardized access to the wireless airwaves, as promoters of the idea have argued. But there’s also a major problem: The plan would be a massive payout to a company hand-selected by the Trump administration, for a perhaps unexpected reason—patents. The Trump campaign proposal would essentially allocate a range of wireless spectrum, the radio frequencies by which mobile phones and all other wireless devices communicate, for open access to fifth-generation (5G) network devices. Those devices would need to follow a set of coordination rules for determining when to communicate, lest they end up interfering with each other—like people who talk over each other at a crowded dinner party. 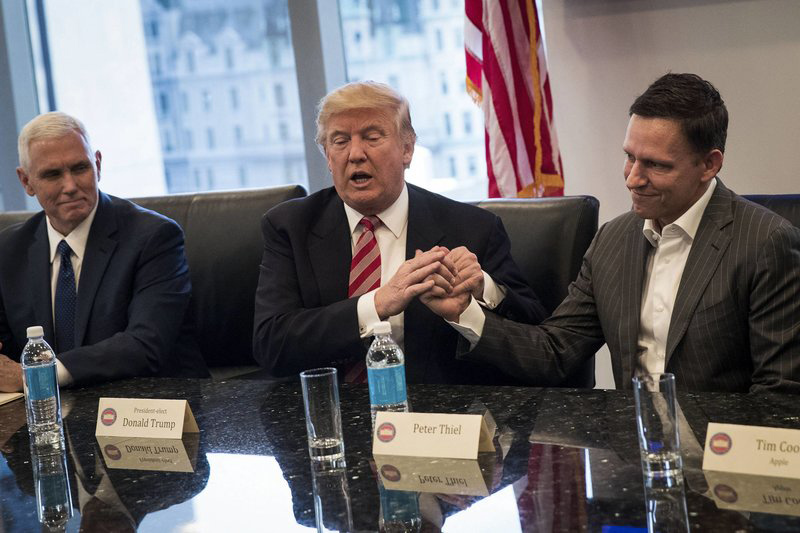 That coordination technology is at the heart of the business of Rivada Networks, the Peter Thiel-backed company that has been an outspoken supporter of the open-access 5G plan. Rivada has a sizable worldwide portfolio of at least 40 patents on “dynamic spectrum arbitrage,” the coordination technology needed for 5G open access. The company has described its patents as “sweeping” and covering the “full range” of “dynamic wireless network sharing.” Those patents give Rivada a government-backed privilege to demand payments from—or even stop—anyone using the company’s open-access technology, and to sue those who refuse. It would be one thing if technology like Rivada’s were successful in the market and the company reaped the rewards of its patents through competition. But by lobbying the Trump administration to adopt a national standard, Rivada stands to earn far more. Every phone, tablet, or other wireless device would be required by fiat to comply with open-access standards—and thus to use Rivada’s patents. That one company would be able to extract payments from potentially every player in the $3.9 trillion mobile technologies and services market. Even worse, it could choose winners and losers in that market through strategic patent litigation.